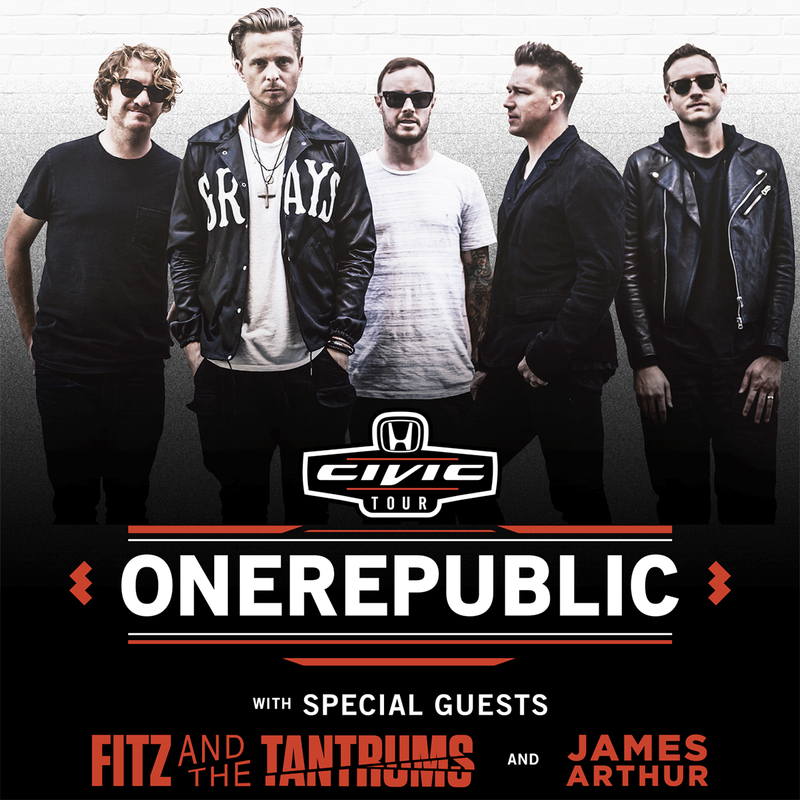 Saint Louis favorites One Republic announced they will headline the 2017 Honda Civic Tour, the 16th year for the tour, with support from Fitz and the Tantrums and James Arthur. The tour will hit 36 cities this summer that begins July 7 at the Sprint Center in Kansas City, before hitting the Hollywood Casino Amphitheatre July 8 and wrapping up September 12 in The Woodlands, TX. Tickets for the general public go on sale Friday February 24 at 10:00 AM at livenation.com as well as the Gold’s Gym Box office at Hollywood Casino Amphitheatre in Saint Louis, or by calling 800-745-3000. There will be NO service fees the first week of sales. Citicard members get a pre-sale beginning Wednesday, February 22 at 10:00 AM. Visit citiprivatepass.com for more details. AT&T customers have a pre-sale going on now. Visit att.com/frontoftheline for more details. One Republic will be touring in support of their latest album Oh My My and will join U2 on the Joshua Tree Tour 2017 for 4 dates before kicking off the Honda Civic Tour this summer.